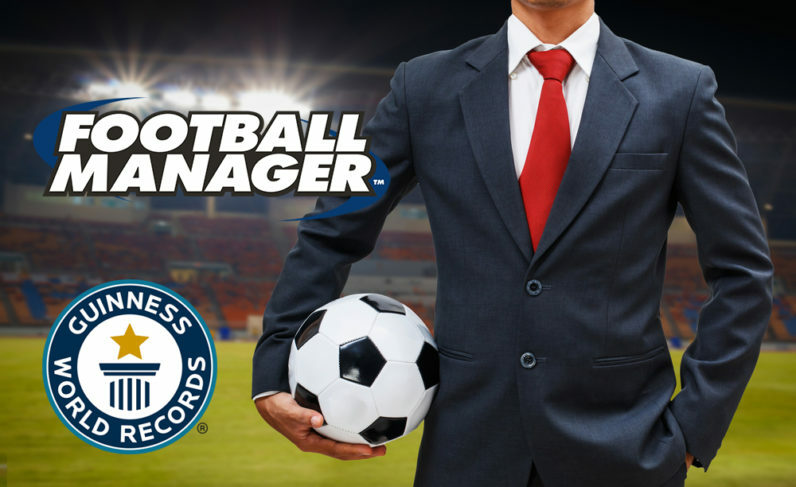 While there’s a litany of Football Manager fanatics on the Web, few can boast with a Guinness World Record for playing the game. Yesterday, Guinness announced Darren Bland from the UK has set the world record for the longest-ever single game in soccer simulator Football Manager. To accomplish this, the tireless Brit has completed a staggering 154 seasons within the game, clocking over 173 days of playing in the process. To give you an idea, this amounts to more than 4,150 hours of actual playing time. Setting the record took Bland almost two years of playing the game between 2013 and 2014. Unfortunately, his glorious adventure ended abruptly when a liquid spillage fried his laptop. Tough luck… At least he can finally start with a clean sheet once Football Manager 2017 hits stores later in November.